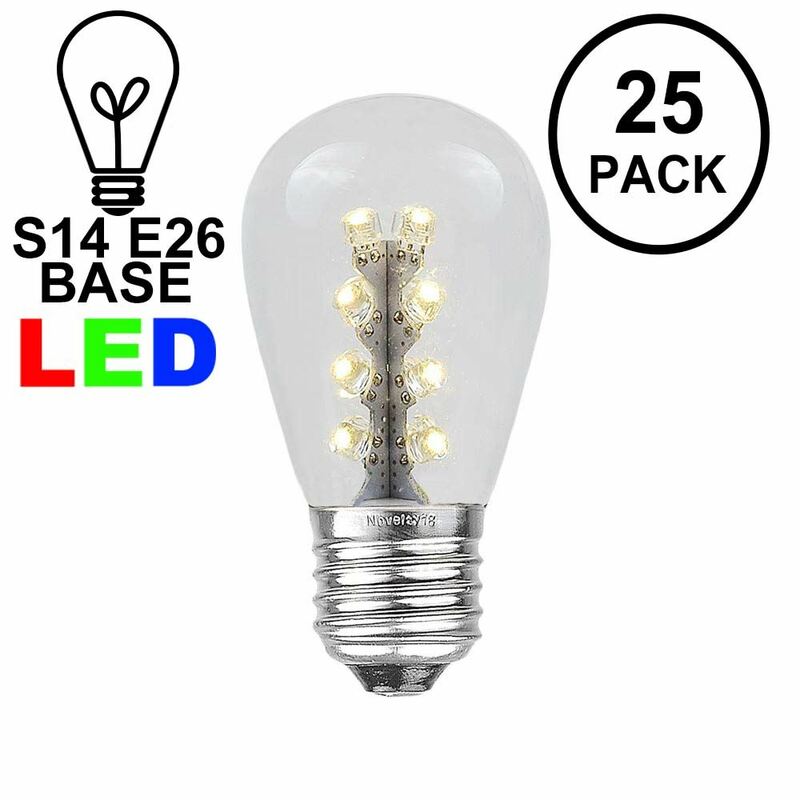 Energy saving glass LED S14 LED bulbs offer less energy usage at only 1.1 watts per bulb when comparing them to standard 11 watt incandescent bulbs. 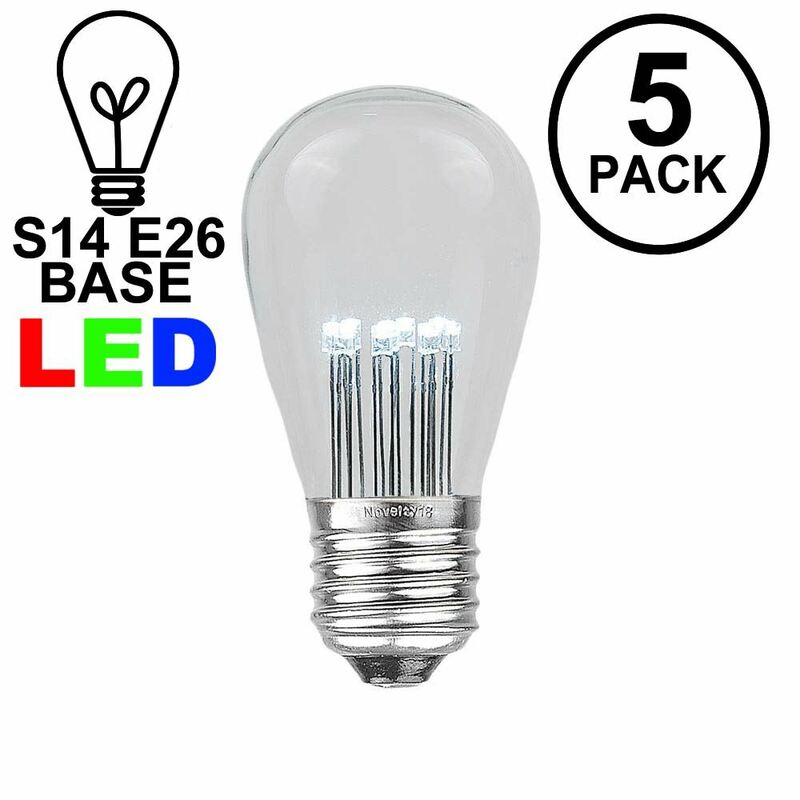 These high quality outdoor LED bulbs are made of glass so they will not fade and discolor when using them outdoors compared to standard plastic S14 led bulbs. 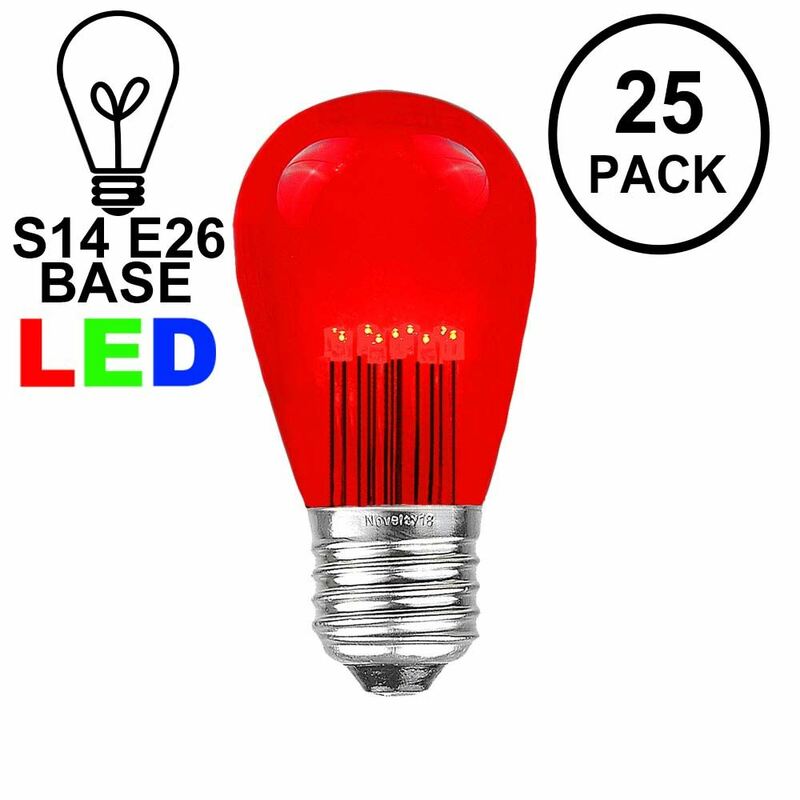 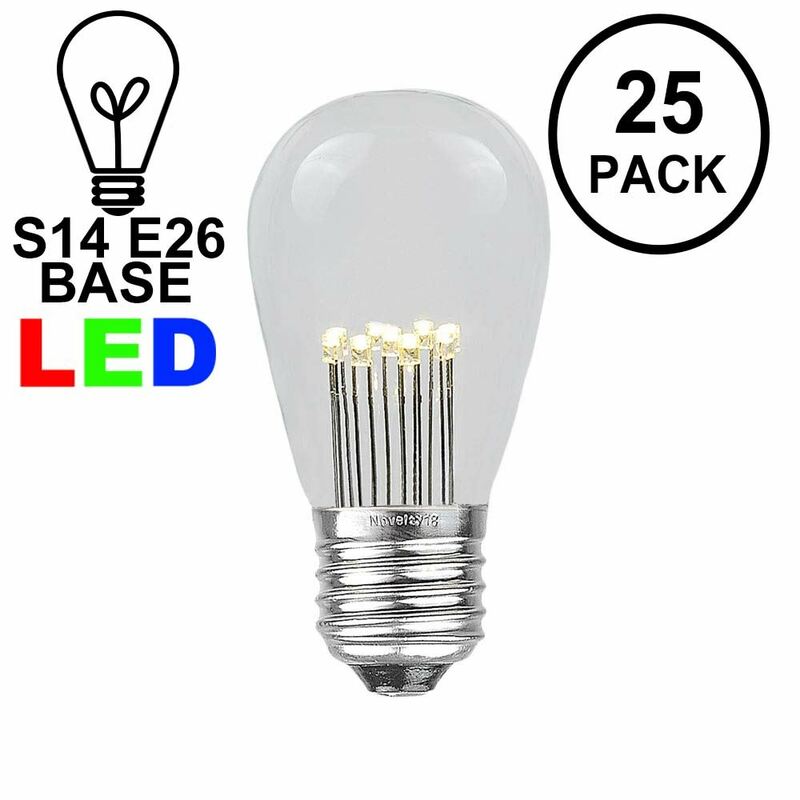 Our glass e26 medium base S14 led bulbs are available in 2 styles: one that has 16 LEDs and one that has 9 LEDs. 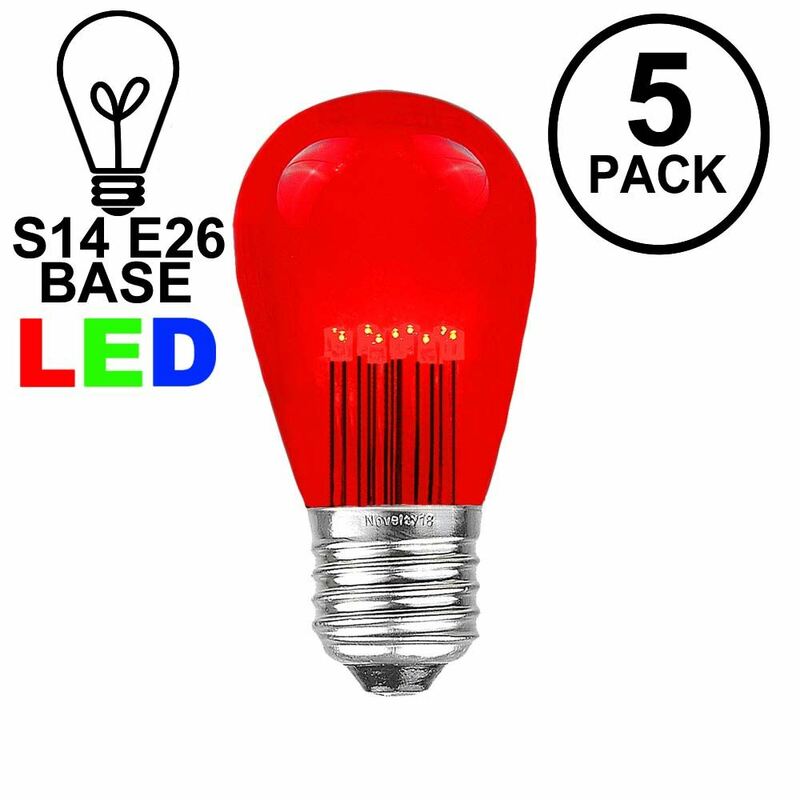 Each style is available in warm white and the 9 LED version is available in pure white, red, green, and assorted colors. 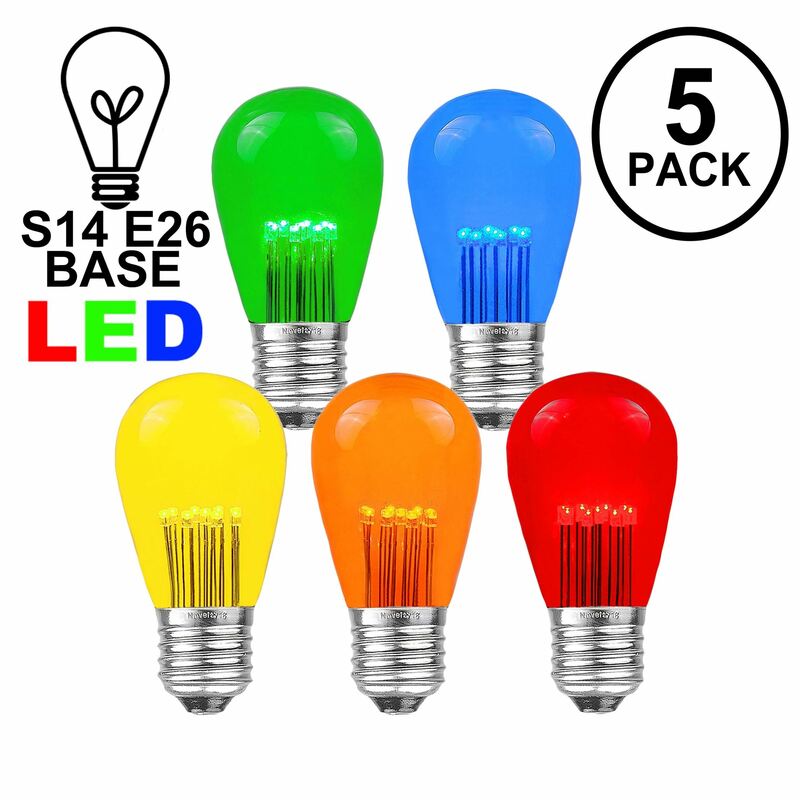 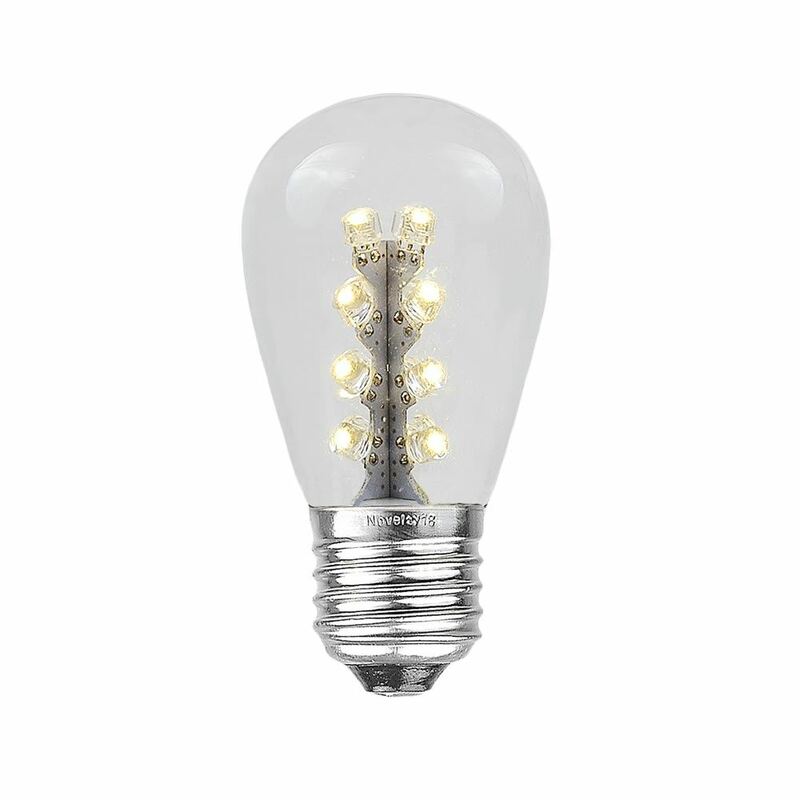 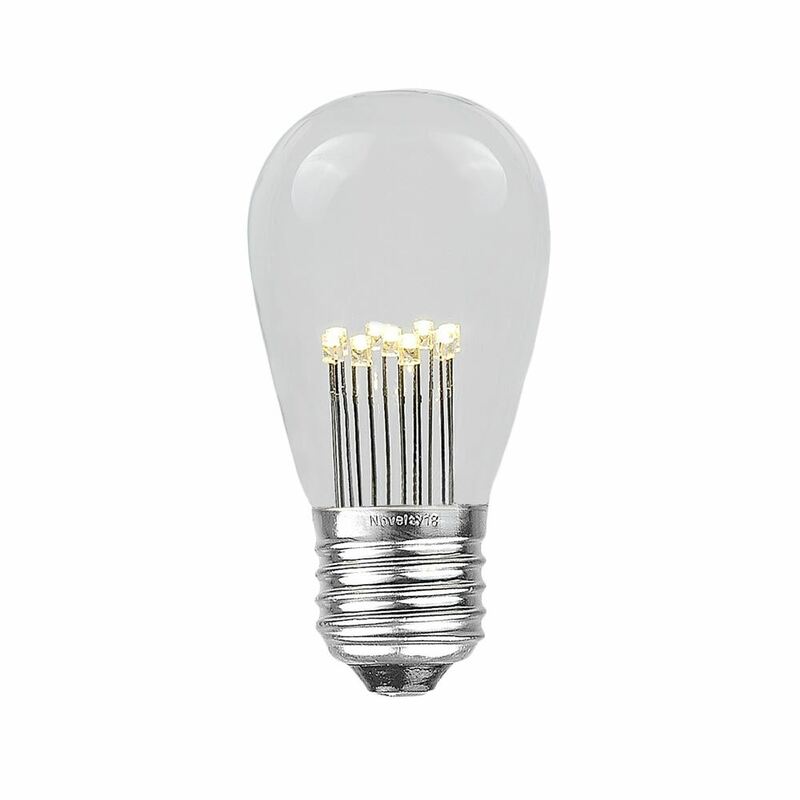 We also have replacemet bulb 5 packs available in warm white, pure white, blue, green, red and multi-colored. These 5 packs are an economical way to replace bulbs.